The Rethink Dance Film Festival showcases artist in front of and behind the camera working to challenge the traditional structures of choreographic storytelling and artistic expression. Through art, the work of choreographers, dancers and filmmakers should inspire our communities to discover our shared humanity. Films in the festival reflect the beauty and synchronicity between the choreography of dance with the choreography of cinematography. 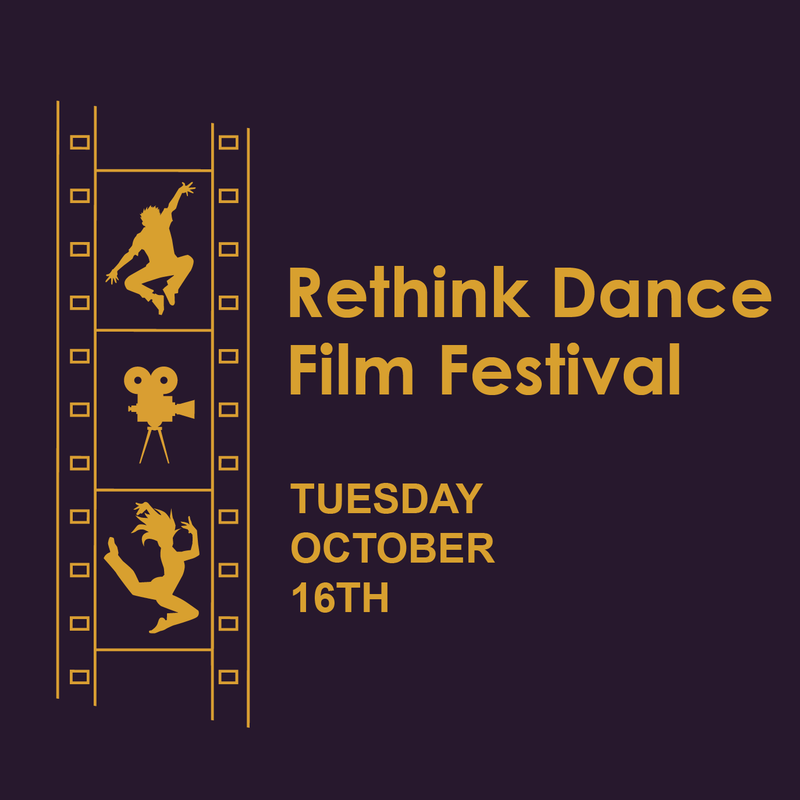 The Rethink Dance Film Festival is a partnership between the Rethink Dance Company and The Human Family. The Arts Partnership is the 2018 Festival Sponsor. Join us on Tuesday, October 16 for a celebration of dance, film and our human spirit. Doors open at 6:30 p.m. Screenings begin at 7:00. Tickets are $7, General Admission. Senior and Student tickets are available for $2.